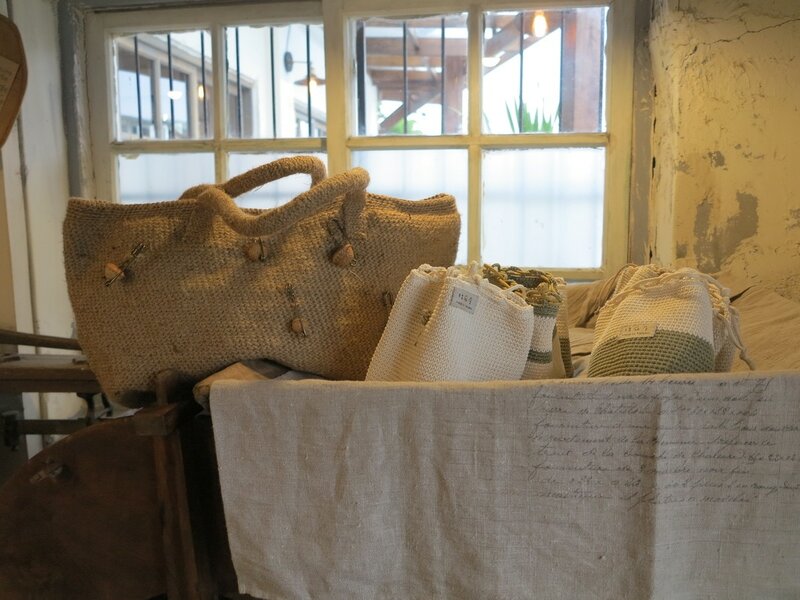 From an indigenous village of Taitung to the upscale boutique of Taipei, Cotton & Hemp House has embarked on a journey of sustainable operation through the efforts of its owner, Huimei Lung. Peering around the glass door, you can see a small shop displaying hats and bags crocheted by the owner Huimei Lung and 26+ tribal mothers. Once you have entered, you are faced with the predominately white and grey color scheme. The white comes from the cotton thread and denotes freshness and simplicity, representing the comfort and ease the Pacific winds bring; and the grey comes from the darker linen thread and gives off a sense of peace and calm. 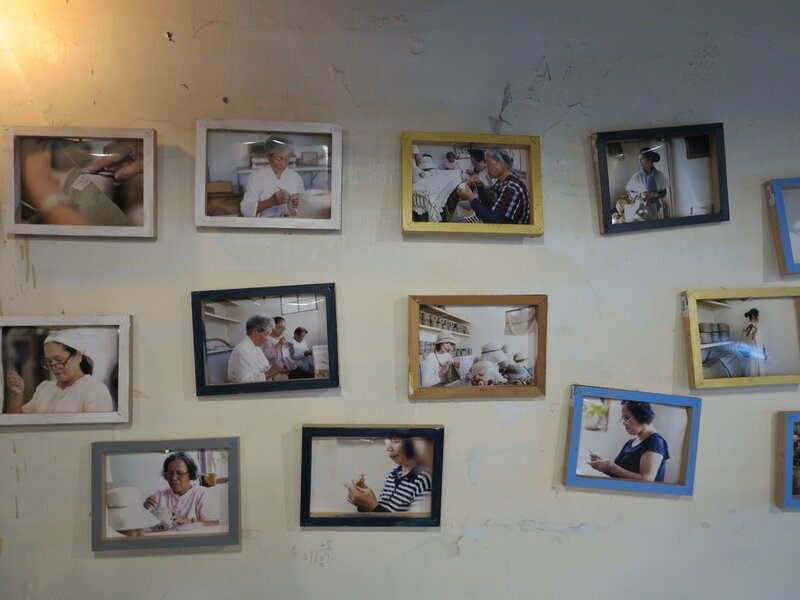 The laid back atmosphere of the shop further adds to its carefree charm. Huimei is a Kaningafar Amis. Her passion for crocheting began when she was working as a part-time cardiac catheterization technician. The catgut suture used during surgeries is naturally absorbed by the body, which inspired Huimei to use natural thread materials. In Amis villages, women are talented weavers. However, as an Amis, she decided to use threads rather than fabrics. While the Amis have their own way of making shoulder bags for men to store fresh catch fish, Huimei revised the techniques and tightened the weave. The smoother and softer touch of these modified crochet bags resulted in the popularity of the Cotton & Hemp House. Huimei incorporates traditional Amis techniques and insists on using natural materials. She uses cotton, linen and flax linen threads to crochet bags by hand. The lack of inner lining is to give the bags an uninterrupted shape and ensure no unnecessary waste of resources. In addition to natural materials, she also collects seeds of all sizes as decorative pieces or as buttons for the bags. Seeds from Looking Glass Tree, Indian Barringtonia, Ginkgo Biloba, Formosan Sugar Palm and other plants can be found around the tribe and there is no need to purchase them in the city. This conscientious choice of materials is not only nature friendly but also indicative of frequent interactions with senior members of the tribe as well as a closely knit relationship with the tribe. With Huimei’s Amis origin, she naturally wanted to create a positive impact in her village. She taught the women to knit, subsidized their families, providing concrete financial support to over two dozen families, giving them stable income without having to leave their villages and families. Three years into its operation, Cotton & Hemp House was forced to look for a new home to relocate to due to a rise in rent. With the support of ACF, it was able to receive a loan from the bank to purchase the shop, thereby allowing the tribeswomen to continue earning their living. In 2012, Cotton & Hemp House caught the attention of Taiwanese fashion designer Jamei Chen; months following, JAMEI CHEN.SOFT retail was launched, marking the official collaboration of Cotton & Hemp House and Jamei Chen. For six months, JAMEI CHEN.SOFT dedicated a space to Cotton & Hemp House, and Huimei’s products were showcased in upscale retail shops across Taipei. Today, her success continues, and continuously provides jobs for the women in her village.